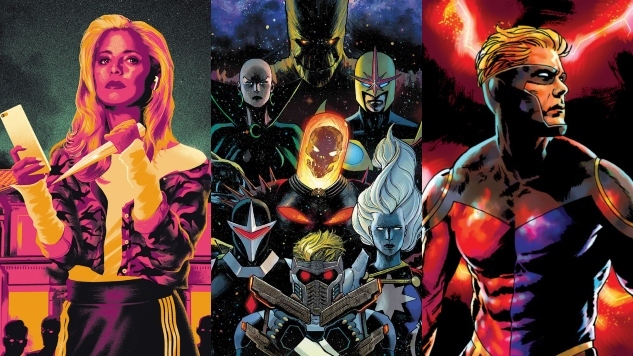 You know, we considered 2018 a darn good year for comics—but we’ve already got a hunch that 2019 is going to do its best to top it in epic fashion. When we started working on our list of the Most Anticipated Comics of 2019, we expected it to top out around 40, 50 comics max, but the more we dug into what publishers like Marvel Comics, DC Comics, Lion Forge, Fantagraphics, Drawn & Quarterly, First Second and more have planned for the year, we knew we were going to have an impossible task narrowing it down. Rather than leave off dozens of notable new releases, we’ve chopped our list in half. Below you’ll find our Most Anticipated Comics of 2019…through mid-March. Check back next week for another set of entries that continues through the rest of March and onward until the end of 2019. Get your reading glasses ready—it’s going to be a hell of a year for sequential art.